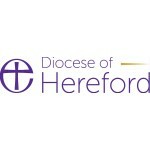 The Stretton Parish, situated in the Shropshire Hills Area of Outstanding Natural Beauty, is one of the largest parishes in Condover Deanery within the Diocese of Hereford. All three churches in the parish have established, vibrant congregations drawn from mixed Christian traditions, serving their communities through a wide range of activities. You will be leading a warm and vibrant church community founded on prayer, which offers itself to be a witness for our Lord and Saviour Jesus Christ. We are outward looking and actively engaged with both our local community and the issues of the wider world. We enjoy and encourage a wide range of worship styles from BCP through to Messy Church. There are a range of small group meetings for bible study. fellowship, prayer and pastoral care. Our youth and children's work extends to strong links with the local schools. ·Has a personal relationship with Jesus Christ, expressed naturally and enthusiastically.
. Demonstrates perseverance and courage. We have three services at Church Stretton every Sunday morning and one at All Stretton and Little Stretton and we are blessed with a number of retired clergy who enhance our worship and teaching. Our strong finances come from a wide acceptance of the principle of tithing and this has supported our mission and ongoing care of our buildings. We seek to grow in prayer as a foundation to our mission activities; to be challenged by the bible and the Holy Spirit and to help everyone in our church to develop their gifts and put them to use. We share a number of projects throughout the year through Churches Together in the Strettons including lent study, Christian Unity events and the food bank.